Are there any silver linings for tenants under this new regulation? There's bad news in store for the lakhs of families living in rented houses in Mumbai, especially in the southern parts of the city. The state government is considering an amendment in the age-old Rent Control Act, which could have a catastrophic impact on middle-class people. The Central government has prepared a draft Model Rent Control Bill, which is to be tabled in Parliament soon. If this is passed, all states will have to adopt the new Act, in order to join the 'Housing for All' scheme. The Bill aims to revise rent as per market rates, thereby giving protection to landlords. It could allow landlords to charge rent as per prevailing market rates, and get the house vacated if the tenant fails to pay rent for two consecutive months. The Congress-led UPA government had first brought in a proposal to amend the Rent Control Act, but could not table it in Parliament, as the draft was not ready. At present, tenanted housing is governed by the Maharashtra Rent Control Act, 1948. However, the Act is not applicable to Vidarbha and Marathwada. To overcome the lacuna, a uniform Rent Control Act was enacted for the state in 1999, but the rent was charged as per the provisions of the Maharashtra Rent Control Act, 1948. The rent as per the Act was as low as Rs 150 per month for one- and two-room houses in areas such as south Mumbai, where prevailing market rates are in the range of Rs 50,000 per month. There are more than five lakh families in south Mumbai who live in rented houses. All these families are middle-class and cannot afford the prevailing market rates. All such families will be badly hit by the proposed amendment. Houses rented on the basis of deposits will also be covered under the amendment, thereby eliminating the generations-old system. When the Maharashtra Rent Control Act, 1948, was enacted, it imposed a lot of restrictions on landlords when it came to increasing rent and vacating the house. The low rental and the deposit system were convenient for thousands of people migrating to Mumbai in search of jobs around six decades ago. In many cases, mill owners and employers got the chawls constructed and rented them out to workers at nominal rent. The state government recently amended its Rent Control Act, and allowed the landlords to charge rent as per market rate for houses more than 847 sq ft and commercial space more than 540 sq ft. However, this did not bring much relief to landlords, as a majority of the houses are smaller than this. "The amendment is a much-needed respite to landlords. Several buildings have become dangerous and cannot be maintained or repaired with the minuscule rent we get. Now, at least, we can repair and maintain the buildings if the rent is charged as per market rates," said a chawl owner, who did not wish to be named. Buildings can be sold to developers at market rates. Rent can be charged as per market rates. Rent can be doubled during the period for which the house is not vacated. Though it is said that tenants will also get protection in the amended Act, broadly, they would be at the receiving end. They will have to pay hefty rent where they lived for generations on minuscule rent. When the news of the proposed amendment broke to the residents last month, they reacted sharply. Sensing an opportunity, political leaders across party lines joined the movement to oppose the amendment. Since the majority of the tenants are in south Mumbai, Congress leader and former MP Milind Deora has strongly objected to the amendment. 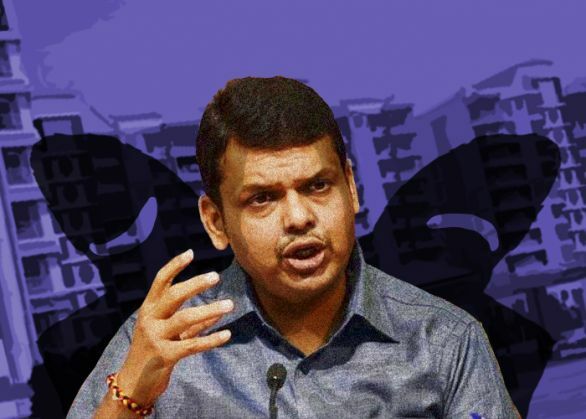 In a letter to CM Devendra Fadnavis, Deora has claimed that over five lakh middle class families will be rendered homeless if the proposed amendment was enacted. "Many landlords in south Mumbai are eagerly waiting for the amendment, so that they can vacate the houses and earn hefty profit by selling the building to developers. Gujarat, too, has a similar rent control act, but it has not been changed in sync with the Centre's Bill," Deora wrote. However, the opposition was short-lived and the issue fizzled out soon when Fadnavis assured he would look into the matter. The state government is yet to reveal its stand on the issue, but sources in the CMO confirmed the development. "The state government has not issued any statement on the proposed amendment yet. An official statement will be put out when the final decision on the matter is taken," a senior official at CMO said. Can challenge the hike in rent. Can object to arbitrary rent demands. Live licence agreement a must between the tenant and landlord. Deposit to be three times the rent, not more. Actual enforcement of the Act will happen three months after it is enacted, which gives tenants an opportunity to vacate the house and search for another if the rent is unaffordable.